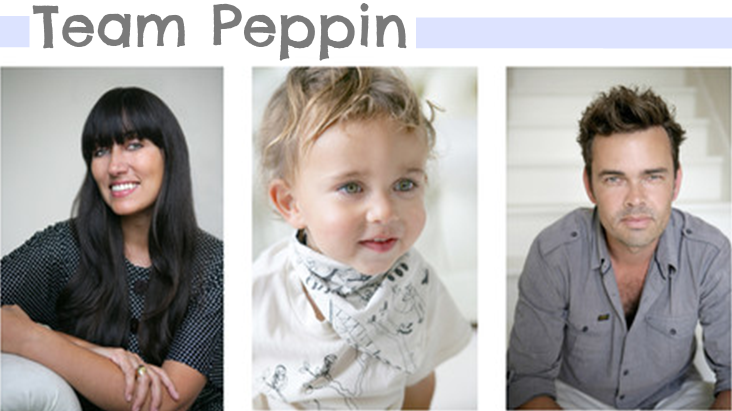 Peppin Boutique was launched in 2010, by Kathleen Waite and Robert Trathen. The talented couple, Kathleen is a fashion designer, Robert an established freelance photograher, opened their flagship store in Auckland's Herne Bay and have since developed a loyal following. 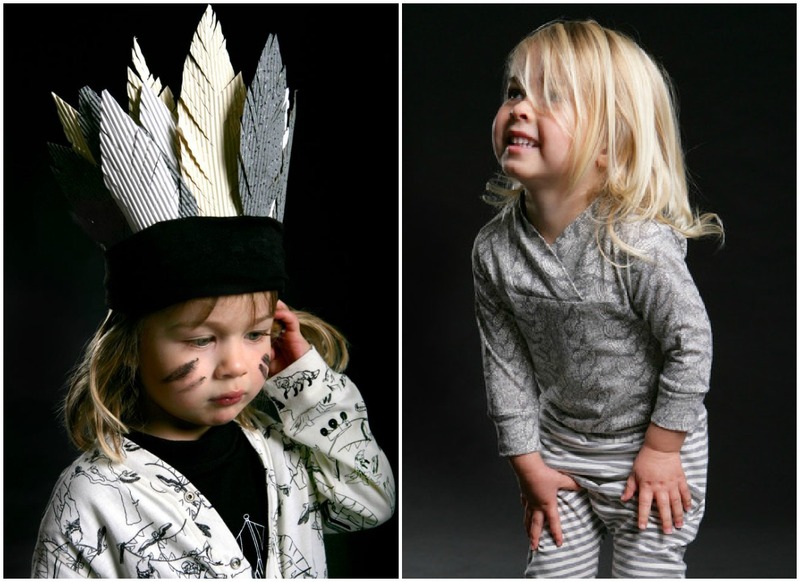 Inspired by their gorgeous son Jet, Peppin is known for their beautifully designed garments ranging from babywear to four years old. With a focus on comfort, the clothing is made from "high quality fabrics such as merino and organic cottons, with a mix of netural colours and eye catching prints." I first met Kath some time ago, when I popped into Peppin to buy a gift for a friend's little boy. 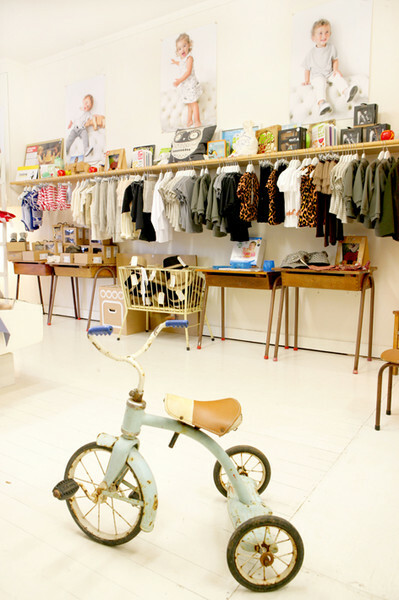 Even though I'd heard great things about the boutique, I was completely bowled over by the gorgeous interior, racks of exquisite clothing and shelves stocked with the cutest accessories and toys. At the time Kath was living above the store with Robert and Jet and I remembered that I'd seen their beautiful home in the pages of Your Home & Garden. They've since moved to an incredible, New York-style apartment, which has also appeared in several publications. Not only is Kath a super talented designer, with at least two fashion labels under her belt, she is also an absolute sweetheart and I'm really excited to be able to share her interview with you today. 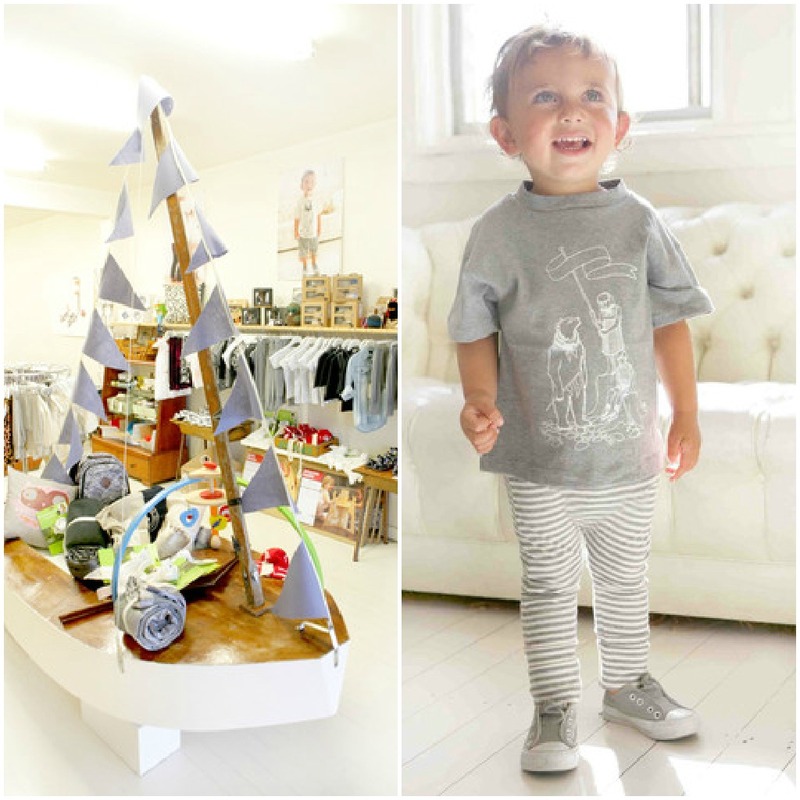 Can you tell us a bit about your background, what led you to designing clothing for babies/toddlers and the launch of Peppin Boutique? I studied fashion at AUT, and worked on a few labels before starting Peppin. The most well known was Skylark, a women’s streetwear label. Are you still involved with Skylark? How did you find the transition from designing womenswear to designing kidswear? The Skylark brand was probably my third or fourth venture in womenswear, I have shelved it for now – as Peppin is a fulltime job. It’s nice to see new mums’ coming in wearing their old Skylark gears though, that always gives me a kick. It was a super easy transition, probably a six-month crossover in the end. And I haven’t looked back. All of the products you design are still made here in NZ. Do you think you will take the manufacturing offshore at some point? Peppin has already experimented with offshore. That was interesting and quite a learning curve. We will be making fully onshore again. Some customers really want to support NZ Made so we have lots of limited edition options for them. The price point is slightly higher but that tends to be ok. In addition to your store, you also sell online. How do the two compare? They are so so different, I just love the potential of online and the ease of it all. I’m a big online shopper myself. And I like the bricks and mortar because I have worked in retail since I was 13 and have a good understanding of how a customer wants to feel like and be treated like when they come in to the shop. I love merchandising and getting feedback – which you don’t necessarily get with online. As well as running Peppin you have a son Jet. How old is he now? How do you find juggling business and motherhood? Do you have any tips for budding mums/entrepreneurs? Jet is now three and a half, and has just moved up into Kindy. The first year was a huge challenge juggling baby and business. It is now a breeze because he knows the routine and can comprehend a lot more. My advice is have support, I couldn’t have done it without Rob my partner and mum helping out too with childcare. Where do you find creative inspiration - local or international design, the web, travel, magazines etc? Too many ideas and not enough time, I only look and read about fashion for my own sake. There are many other kids labels I admire – but wouldn’t dream of doing similar work. Peppin is pretty intuitive for me, and details can get changed throughout the process from design pattern and make. What are your favourite products from your range right now? Probably all the sweats which will come in for winter, lots of colour blocking! 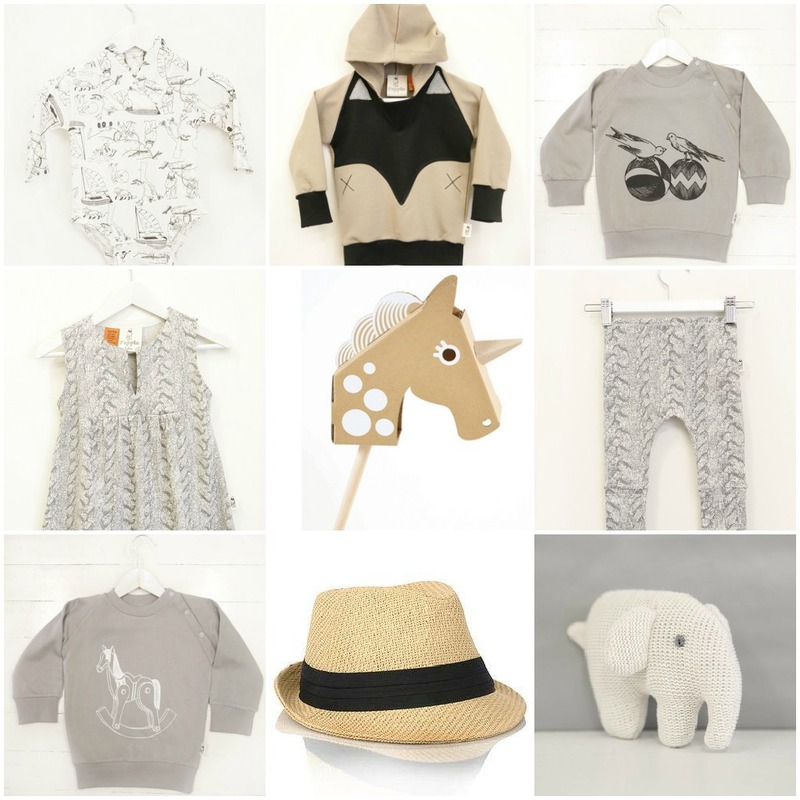 In addition to the Peppin Boutique range, you also stock other brands of toys and accessories. Will you continue to expand on this? I’m not sure, we are always on the hunt for cool toys. We may have to get into making more. I’m soo fussy on colour and proportion. It’s really hard to source matching accessories to our range at times. Most of what I like comes from Europe, and there is no hope of getting them down here with a reasonable price point! What are you working on right now - any exciting projects in the works? What are your future plans for Peppin Boutique - where would you like to take the business? No big plans, we are really so happy with the brand so far and just stoked that others like it. You will see new prints and new designs coming in, and I hope we will have natural growth. A massive thank you to Kath for giving up her time to be interviewed. 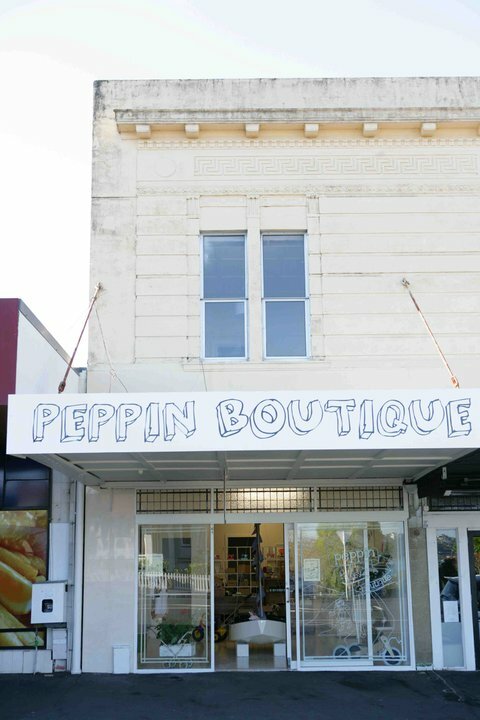 If you're in Auckland make sure you pop in to Peppin Boutique, located at 184 Jervois Rd, Herne Bay. Alternatively, you can shop online. To stay in the loop, pop over and 'like' their Facebook page. I love these clothes child! So class!